In her role as Principal ICT Office, Ester has been the ICT focal resource within the Ministry for the past 10 years. Her mission: drive the School Empowerement through ICT agenda for the Ministry. Passionate about Africa Code Week, she has facilitated Train-the-Trainer sessions for more than 1,000 teachers in the Harare Region and Southern Province to date. When Ester is not wearing her ICT hat, the best place to find her is the fast-growing Takudzwa Primary School she founded some time ago and where she remaines delightfully busy. Ester holds a Master of Education Degree, a BSc Degree in Information Systems and a HND in Computer Studies. Knowledge Chikundi is the Founder and President of the Zimbabwe Science Fair, an organisation to advance science, innovation and technology by Zimbabwean young scientists. The organisation grooms Zimbabwean young scientists with a production philosophy. The Zimbabwe Science Fair was founded in October 2015 and has made notable leaps in advancing STEM education in Zimbabwe. Last year in October, the Zimbabwe Science Fair sent the first group of Zimbabweans to participate in the Eskom International Science Fair (the biggest science fair on the continent) in South Africa. The same group of young scientists now proceed to the world’s largest and first science fair, the Intel International Science and Engineering Fair to be held in Phoenix, Arizona, USA from 6-13 May 2016. The Zimbabwe Science Fair partnered with the Science Circus Africa, a program funded by the Australian Government to advance STEM interest and excitement in Africa, to bring it in Zimbabwe. The Science Circus Africa Zimbabwe Tour, which ran from 11 to 22 March, was a resounding success which saw an overwhelming response from students, general public and education officials. Knowledge has a strong passion for science and technology advancement in Africa. ICT Education promotion lies at the heart of the Zimbabwe Science Fair’s core categories. The Zimbabwe Science Fair encourages students and youth to love technology, which now commonly refers to ICT, so they can come up with ICT applications and solutions. Knowledge Chikundi is working with the University of Zimbabwe to start a science and technology public awareness center at the University. ICT Education shall be one of the main messages of the Center . Co-founder and Community Manager of B2C Coworking, Andrew is passionate about digital capacity development and the future of technology in Africa. He started B2C Coworking in June 2016 and has worked hard alongside several corporate partners to sustain it. Batanai to Create (B2C) means “Collaborate to Create”: it is Zimbabwe’s fastest growing innovation hub with over 20 startups under incubation. B2C also runs several ICT based programs that include Yali Creatives, Google Developer Groups, Digital Design training and Africa Code Week. Google Developer Groups Regional Mentor for Southern Africa (2016-2017), Andrew holds a Bachelors Degree in Electronic Commerce from the Harare Institute of Technology. 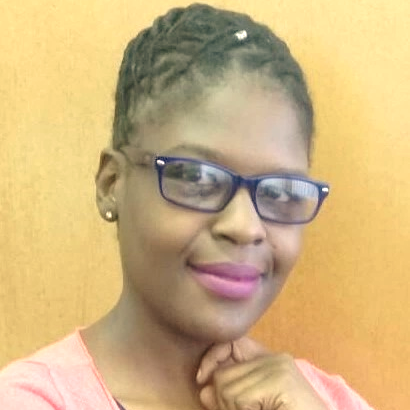 Vickie co-leads HabeNerd, an online learning platform in Zimbabwe which provides organized and intense training on ICT skills and courses across all age and gender classes. With a goal to equip participants (locally and regionally) with programming and coding skills, the platform helps participants explore and kick start careers in ethical hacking and programming as well as to learn how applications are made and how to turn those into revenue. HabeNerd has launched Coding Day initiatives with partners in Zimbabwe, Botswana, South Africa and Zambia. An ICT professional and trainer passionate about social entrepreneurship applied to technology, Vickie is also a member of the Computer Society of Zimbabwe Bulawayo Chapter, serving on the Executive and the Software Development Committee. Through Africa Code Week, she hopes to "conscientise as many young Zimbabweans on the benefits of learning coding skills and broaden the scope of App development in Zimbabwe." Speciss College Bulawayo is a private college that offers education and training in academics, business, ICT, garment construction and technical courses. Passionate about empowering youth with digital skills, Janet manages the training of professional and short ICT courses. She has been actively involved in the Technovation Challenge since 2015, where she was a judge at the final pitch in Bulawayo. In 2017, she mentored one of the teams of girls participating in the challenge, where they had to build a business plan and develop a mobile app that addressed a problem in the community.